One of my new favorite weekend treats is Caputo Brothers ricotta. We have been entertaining on weekends, which always provides an excuse for a cheese sampling. I discovered Caputo Brothers ricotta in Chelsea market while waiting to check out at the cheese monger. A very generous portion of ricotta was for sale in the mould it was presumably drained in. Not being able to resist good packaging, and the enticement of a 2-for (cheese and mould to experiment with on my own), I was sucked right in. 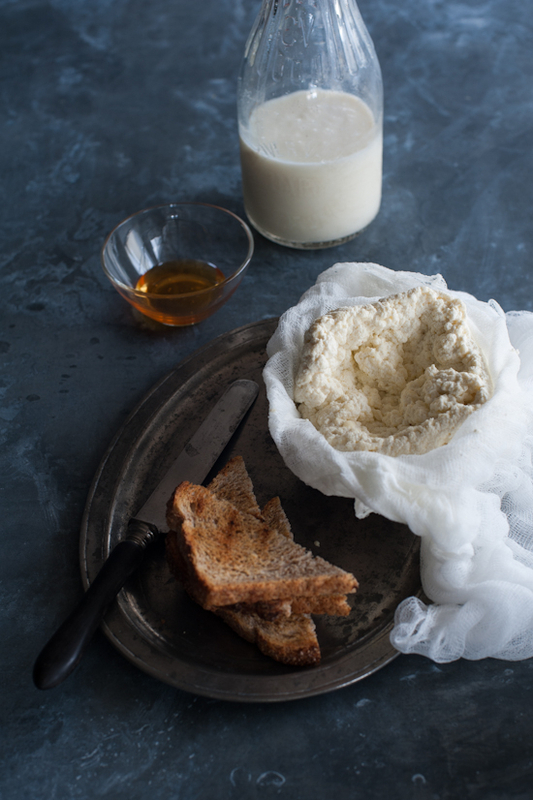 The ricotta did not disappoint: it was creamy, fluffy and sweet. In fact, I'm not sure I've ever had ricotta as wonderfully fresh and decadent. I soon set out to make use of my moulds. I started with Mark Bittman - a favorite and always at the ready with my geeky iphone app. 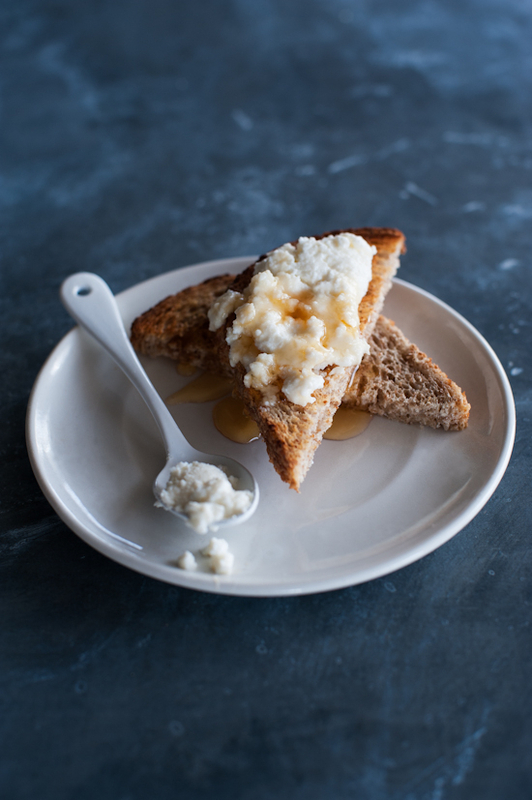 The recipe couldn't be simpler: milk and buttermilk cooked and strained in four easy steps. I purchased the highest quality ingredients I could find and followed the directions carefully. The result? Not bad, but not Caputo Brothers. Mine was not as creamy (I would not let the curds drain quite so long next time) and not quite as flavorful. But it was a nice, quick, and satisfyingly easy home version. Next time, I'll take some cues from here and poke around a bit elsewhere and see what else I can learn. Next time I have an urge to make cheese - I might check out these or these (and what fun gifts these would make?). 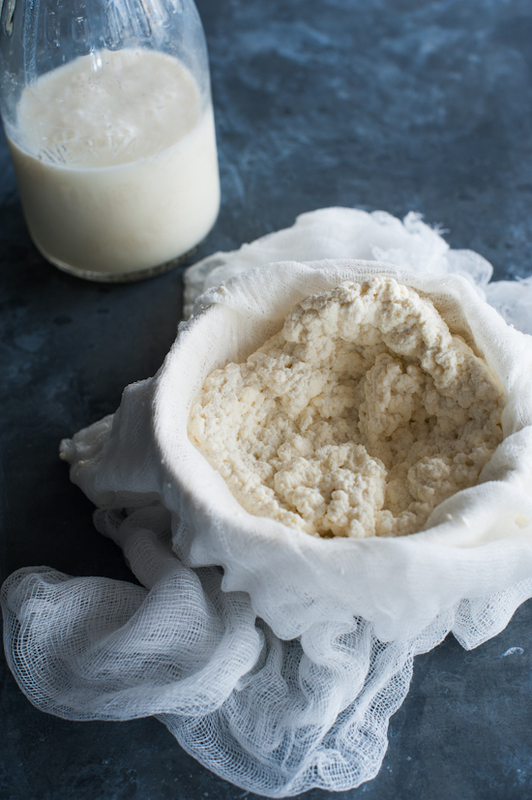 Do you have any ricotta-making secrets?